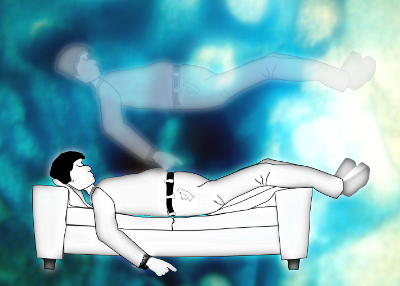 Out of body experiences can be stressful events for many astral travellers. Some people find the separation of their psychic and physical bodies both distressing and unnerving, and so it's perfectly normal for unseasoned travellers to be anxious about their journey. And for extra security why not try opt for our Five Star Policy, which includes temporary relocation of your mind to another body, should your own prove to be busy on your return.